Have you ever experienced some sort of level of anxiety in your life? Today’s podcast episodes is one of two episodes in which we discuss this common yet potentially debilitating ailment. 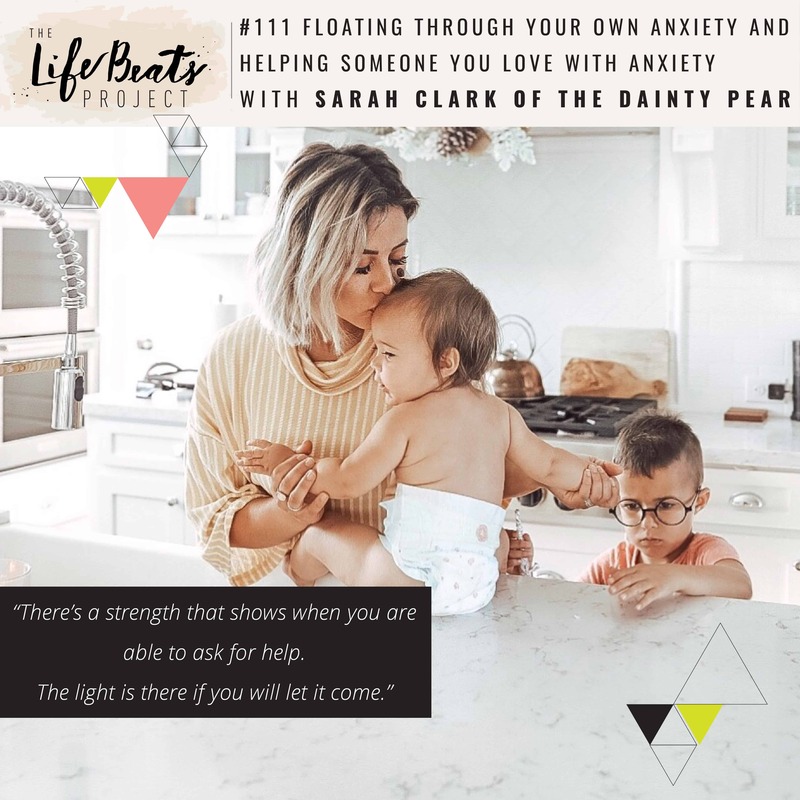 Sarah Clark of The Dainty Pear shares her lifelong relationship with anxiety, including specific examples of its manifestation in her life, tools that have helped her in her battle as well as the things that her spouse has done that has and hasn’t helped her. Sarah shares about her first panic attack as a 1st grader and the childhood of emotional and mental stress that continued and left her feeling out of control. She also tells of the role that hormones has played in her anxiety, as manifested while on birth control and later in each pregnancy. She shares how her marriage has been affected and the value working through something hard together has been, as well as specific examples of what her husband has done to help and what things to avoid saying and doing as the spouse of someone with anxiety. Sarah tells of some of the common thoughts she has while suffering from anxiety as well as the tools that have helped her. She gives encouragement in citing that you in the moment you begin feeling anxiety, there is a gap of time in which you can choose how you will react. She also encourages moms to take the time of healing for themselves as their internal thermostat is a good indicator of how everything is going around them. Sarah applauds those who have chosen to share their own anxiety story, knowing how difficult that is, but feeling first hand the effects of normalcy and comfort from knowing that others are experiencing what she is experiencing. Listen and be inspired to identify thoughts or episodes of anxiety in your own life or the life of a loved one, practice tools for yourself or in support of someone else, and feel hope that you are not alone!